Thanks to CyborgAbeLincoln - now with added V8 for the nice little trucks. My first car was a 74 Super Beetle, from there many VW’s were went through my possession. Never had a Caddy, but looked at a yellow one with a white cap once. 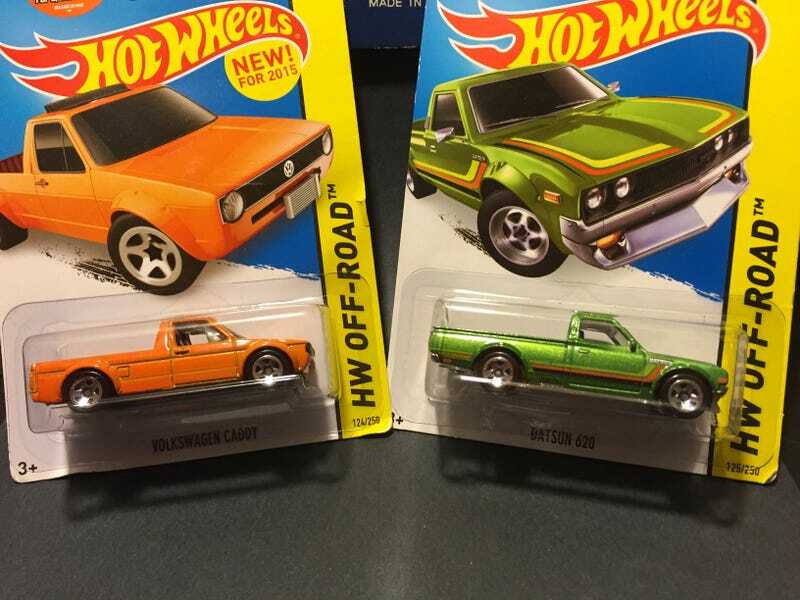 Love this little truck, have several of the red ones, now an orange one, just need the silver one to complete the set. He also hooked me up with the MBX 93 Mustang Highway Patrol and to my surprise a sweet Maisto 15 Mustang GT Police Car. Sorry no pics of the police because as soon as I got them the were opened up and put on my desk at work. While still finalizing the my first HWEP, androoo set me up with the following in my second. Not the Combat Medic trucks that are my fav, but this VW Caddy fits my VW love and is still a delivery vehicle. Love the art on these types of things. Didn’t think I would want these food trucks, but after looking at them, they have the same shape of the Combat Medics that I collect and the art is kinda cool goofy. I find it funny that the ‘guy’ in the window is holding an ice cream in all of these food trucks, so even if it’s burgers or pizza. And Finally the added box truck I had tossed in.